Humiliating the world's deadliest terror group does not come without a price. Life isn’t easy after preventing what would have been the most disastrous terror attack the world had ever seen. Secreted away in a remote Philippine village, Dr. Brent Holcomb is blissfully unaware of how close his enemies are to finding him, and getting their terrible revenge. That respite comes to a violent end as his new home is destroyed in a murderous rampage—more lost lives to be put on his conscience. As Brent realizes he can no longer run from those who are hunting him, he starts his own course of al-thar, revenge. Can Brent top himself and bring the mastermind, Saadullah Abul Ka-bir, to an end, along with his council of terrorists? Join Dr. Holcomb and his memorable cast of friends as they try to pull off the most improbable con ever conceived, and to do it as the clock races toward the final destruction of America and the beginning of the new caliphate. 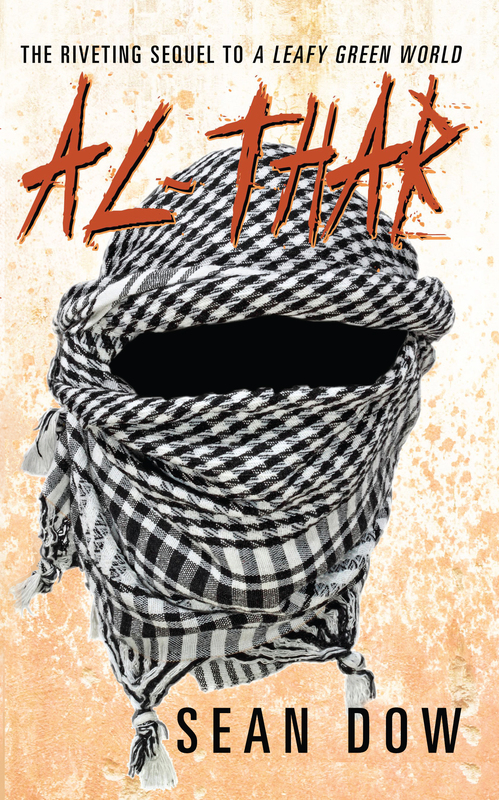 In Al-Thar, Sean Dow delivers a sequel with even more action and intrigue than A Leafy Green World. Dr. Brent Holcomb survived his ordeal in the Pacific Northwest, but he made powerful enemies, in the process. These enemies had worldwide influence, and a single goal-the destruction of the man who had humiliated them, and who had stopped them just before they could achieve their ultimate prize, the downfall of America. Tracked down in the Philippines, Brent barely escapes with his life, but is forced to bear witness to an unspeakable act of revenge. Unable to stop it, Brent is left with a single goal of his own, al-thar-revenge. Join Brent Holcomb in this action-packed sequel to A Leafy Green World as he sets up the greatest con in history, in hopes of turning the tables on the terrorists who had destroyed his life.